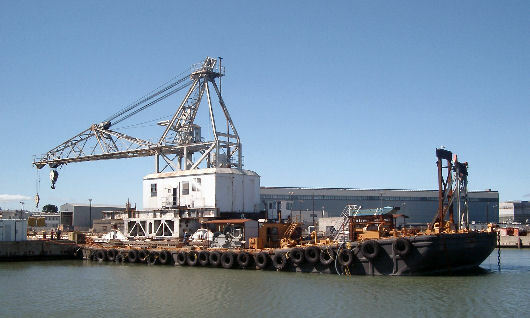 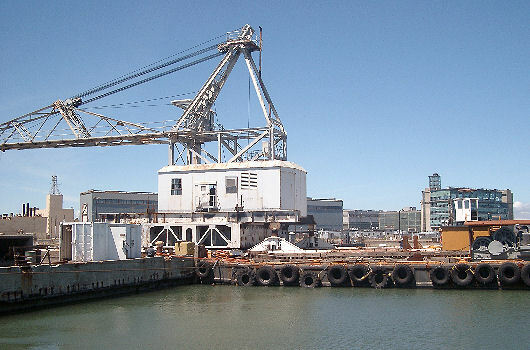 In June of 2005, a 500 t heavy old Navy crane was skidding onto the Hickey Marine crane barge CRYSTAL GAYLE at the Hunters Point Shipyard in San Francisco. 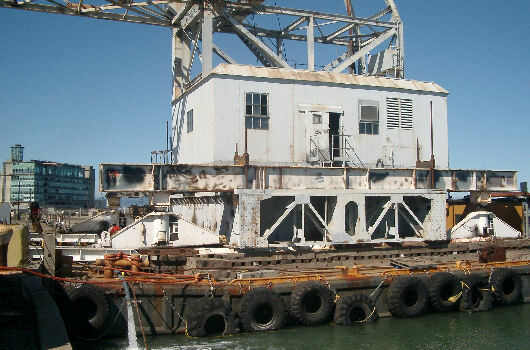 The 4 story high legs and boogies of the crane were first removed and the whole crane was lowered down to ground level. 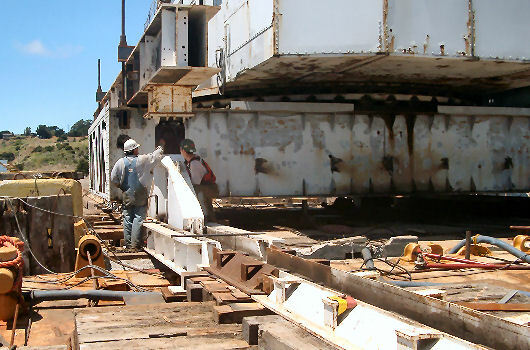 Using skid shoes and hydraulic push-pull units, the crane was slowly pushed onto the barge, over skid track and bridge beams. 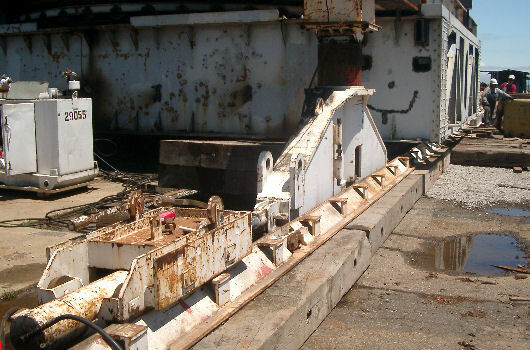 During the skidding operation, the barge was continuously ballasted to compensate for the weight coming onboard, as well as for the changes in tide.